Manufacturer & Exporters of ASTM A335 Alloy P23 Seamless Pipe & A213 T23 Welded Tubes, Alloy Steel P23 ERW Pipes, Alloy T23 EFW Tubes Supplier in India. We are one of the oldest manufacturer and exporters of High Quality ASTM A335 P23 Alloy Steel Pipes & ASTM A213 T23 Tubes. We provide a wide range of ASTM A335 P23 Alloy Steel. Our range comprises of ASTM A335 P23 Alloy Steel Seamless Pipes & ASTM A213 T23 Tubes in the form of Round, Square, Rectangular, Hydraulic Etc. Our range comprises of ASTM A335 P23 Alloy Steel Pipes & ASTM A213 T23 Tubes are available in different dimensions & grades. We also deliver these pipes & tubes as per client specification & requirements. Addition of such alloying elements is usually for the purpose to increase hardness, strength or chemical resistance. ASTM A335 P23 Alloy Steel Pipes & ASTM A213 T23 Tubes supplied by us are accepted by clients in various spheres of the industries ranging to Oil & Gas, Refineries, Fertilizers, Heat-Exchangers, Paper & Pulp, Pharmaceuticals, Chemicals, Water Treatment, Dairy, Sugar & Food Processing, Construction, Mining, Shipbuilding, Offshore, Engineering Co., Oil Mills, and other industrial projects. 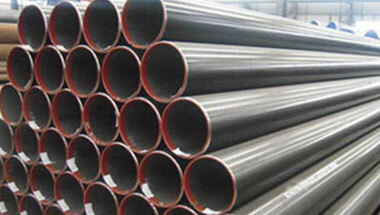 ASTM A335 P23 High Pressure Pipe & Tube Exporter, Alloy Steel A213 T23 Seamless Tubes Supplier, Alloy P23 Fabricated Pipe, ASME SA335 P23 SAW/LSAW Pipe Manufacturer in India. Nigeria, Bahrain, Iraq, Egypt, Angola, Turkey, Kazakhstan, Ghana, Tunisia, Democratic Republic of the Congo, Iran, Cameroon, Brazil, Dubai, Sri Lanka, Peru, South Africa, Uganda, Colombia, Chine, Indonesia, Australia, Germany, Canada, UK, London, Kuwait, New Zealand, Sudan, Venezuela, Israel, Thailand (Bangkok), Argentina, Algeria, Ethiopa, Saudi Arabia, United States, Jordan, Italy, Azerbaijan, UAE, Russia, Houston, Trinidad and Tobago, Morocco, Mozambique, Mexico, Africa, Malaysia, Vietnam. Dakar, Giza, Freetown, Tel Aviv, Hong Kong, Ouagadougou, Soweto, New York, Bethlehem, Casablanca, Durban, Yaoundé, Tehran, Pretoria, Abu Dhabi, Nairobi, Maputo, Kolwezi, Dubai, Fez, Kinshasa, Aqaba, Jeddah, Tripoli, Lusaka, Ibadan, Beirut, Bamako, Cairo, Mogadishu, Kaduna, Brazzaville, Kampala, Istanbul, Dar es Salaam, Jerusalem, Dammam, Mecca, Kano, Zaria, Douala, Harare, Khartoum, Colombo, Amman, Manama, Doha, Port Harcourt, Mbuji-Mayi, Riyadh, Omdurman, Rabat, Data from the UN, Subra al-Haymah, Lubumbashi, Antananarivo, Sharm el-Sheikh, Luanda, Accra, Benin, Lagos, Addis Ababa, Maiduguri, Conakry, Cairo, Port Elizabeth, Algiers, Abidjan, Byblos, Singapore, Muscat, Bulawayo, Johannesburg, Cape Town, Alexandria.